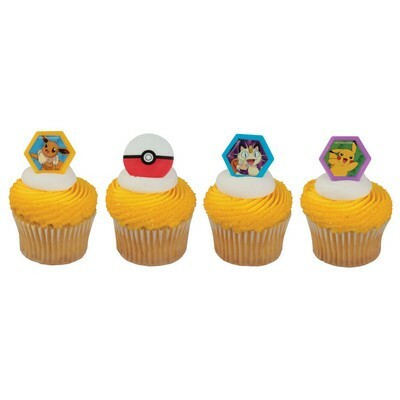 Pokemon Cupcake Favor Rings 3 of each of the 4 different rings, 12 pcs consist of 3 different design as pictured. Price: $5.50 You can insert into a cake, cupcake, or cookie or use them as party bag fillers. These are actual plastic rings the kids can wear.